Diamond Trade Conference was founded by the government of the country of The Imperium of Diamond's and the Central Bank of The ID's. 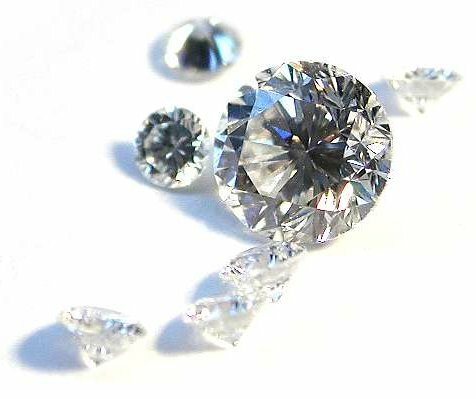 Diamond Trade Conference is devoted to cooperating with all owners of diamonds and diamond mines, traders, jewelers, investors, investment corporations and agencies, institutions, any active person in the interests of market manipulation and Diamonds. The Conference is interested in interpersonal communication and relationships expansion joint, common interests and common success in maintaining the value of diamonds to the strongest levels. The conference was founded every three months in major cities of the country the government of The Imperium of Diamond's followed traditional conferences in major cities around the human world. The conference will be of interest to devote the first few issues. The Imperium of Diamond's confirms interest in expanding Trade Certified Diamonds and preserve their legal values, interests and relationships the world's diamond mining of diamonds that are stored in the vaults, so that their business could be registered and certified in order to ensure safe and clean store. Offer for land south-western parts of North Africa. Fighting smuggler’s of Diamonds and project support for the use of bloody Diamonds, for example, the construction of large sculptures with symbol of big mistake inhumanity and common needs for effort and a willingness to understand that the world does not respect the bloody interests of injustice in order to cooperate any kind of market’s on diamonds that are based on blood levels of crime and dirt. Therefore, a statue of bloody Diamonds can mean the symbol that represents a violent rebel standing over collapsed family and he oppressed the world blood diamonds, blood diamonds that is so blood families of the same race, the blood of the nation. The value of the statues Blood Diamonds therefore may subsequently issue to the GDP of all the countries that were able to recover the remains of blood diamonds by rebels stealing and they murdered, desecrated human life, published value may be allocated over into per diems for every citizen of this country who do not own job or stable financial income, mainly citizen who does not own any criminal record. Only for people who are committed to promote common security, peace and good benefit of society. After this, the communication of the black diamonds trade, smuggling, distribution and available resources in the form of raw materials exchange for diamonds without legal certification. Communication is established in order to strengthen our global knowledge and create opportunities for expansion joint strategies for international security in the diamond trade and the application of the values legal sources, the extension of certification strategies and international cooperation. Interest in the conference is to create a trading system that will ensure that unregistered diamonds will lose their own value and are legally unmarketable. Therefore, it may be Refreshed value diamonds that are registered. Recently, after 10 years back in 2015, today, the value of diamonds has grown steadily to nearly double deletant price. Therefore, it is in my interests to promote re-growth of diamond prices and so ensure greater profits and application of diamond trade. That's why I want to design a system for cooperation with The Imperium of Diamond's, ensuring the ability to buy many diamonds significant quality and processing at the national fortunes of The Imperium of Diamond, under the Federal Reserve Bank. In that I will support the interests of corporations and agencies, the federal system, re-pot The Imperium of Diamond's ability to succeed in the auctions for interesting and culturally successful parts of the diamond. Agencies and corporations in the interest of business activities on the diamonds because they can take advantage of stronger forms of support for the purchase of diamond without the financial burden in the form of joint economic cooperation or, for example, through full government support from the Central Bank of The Imperium of Diamond's. National Agencies and Corporations which so occupies the territories of The Imperium of Diamond's business will gain support capable of selling diamonds in the interest of national territories, in order to maintain national values. Foreign corporations that own interesting forms Diamonds destined for sale, at the time an effort created by the Government of The Imperium Country of Diamond's, strengthen the value of the common market with the government of the country of the corporate seat of your corporation. Public markets will be based on the development of the common market in the interest of civilization, the future of resources, the development of modern territories, the development of many forms of space projects. In this strategic interest will be redeemed diamonds according to the area's economic stability and economic values of The Imperium of Diamond's. International Business partners who own an interest in selling their own and Certified Diamonds can use proposal for joint trade between the Party Corporation and The World Diamond, trade which is based on the sale of diamonds as an added value due to an attempt to overtake the auction competition will therefore Diamond reviewed auction experts and will increase the value of diamonds and corporations automatically strengthen their own profit. The agreement is valid only for this special case where the interests of the Corporation for the sale of diamonds and the government of the country will agree to special terms and conditions of The Imperium of Diamond. Special conditions mean that diamonds will be sold into legal hands of The Imperium Diamond Corporation gets a financial gain that must be deposited into the Central Bank of The Imperium of Diamond's on legitimate merchant account. The trader then must keep and spend the funds in the interest of economic territory The Imperium of Diamond's in the market structure of national corporations. Therefore, the situation of the trader to store values into the Bank's country's government with its corporate headquarters in abroad and the value of Finance will remain in the territories of the economy The Imperium of Diamond's.The government of the country which have thus lost their own gain in value of financial currency The Imperium of Diamond's, the government therefore their own benefit, entitled Special conditions The Imperium of Diamond's, a condition which approves foreign government land owning sold diamonds and keep them as their own economic value in GDP Territory government of the country. The value of diamonds will be listed on the Diamond Act of the Government of The Imperium of Diamond's and transmitted to the government of the country that owns the corporation with a focus on the sale of diamonds. At the same time, a special procedure for trade Diamonds are preserved in the Museum of The Imperium of Diamond owns presentation seat in the territories, The Imperium of Diamond's where they will Diamonds in the exhibition and designed for presentation and political interests representation of cultural interest of the government and people of the country The Imperium of Diamond's. No government land and the corporation to lose in value and earnings. Governments and corporations will gain profit on cooperation and preservation of the just value. Diamonds can then be in the interest of special trade agreements, purchased in final form until after the financial redemption between the Government of The Imperium of Diamond's and corporations bought back through raw material market, if the government of the country of The Imperium Diamond will own interest in this second purchase. If impartially person for special diamond agreement, if owning impartially interested in making investments in diamonds and store their own property, then collected funds will be deposited with the administrator Diamonds in the Central Bank of The Imperium of Diamond's. Part of the agreement will be defined other points of business cooperation and common contacts in banks, special agreement may contain additional information on cooperation in the Bank, and common markets. The Central Bank of Diamond can use 25% of Business Diamond value in our GDP. In the interest of international cooperation with the Federal Reserve Bank of The Imperium of Diamond's, The Imperium of Diamond's therefore we offer assistance for the preservation of diamonds as an international currency between banks. The Imperium of Diamond's why starting a project for cooperation in trade between the governments of other countries that own interest in trade with the countries and corporations of the Imperium Diamond's, so there is the possibility of the government of a country can pay with calculated limit currency raw diamonds and diamond's. Calculation of the limit will be based on strategy and market value applying Diamonds, along with their actual value according to expert opinion the Federal Bank The World Diamond. The country's government to cooperate in international markets with other governments of countries in which it recognized the financial value of the currency in the Diamond's, because the government gets significant value ratifications which in turn raises the value of diamonds that are intended for shifts. The same condition applies again for the interest of the raw materials that are available on the use of diamonds as currency abroad. The value of diamond against growing again unless the country's government will use raw form inning by category assessed value of commercial sales of raw materials by The Imperium of Diamond's, in the event of excess raw materials without the ability to exercise. The value of diamond will be re-calculated by applying the value of diamonds on the international cooperation of the country The Imperium of Diamond's. Other forms of ratification shall be determined by mutual agreement. 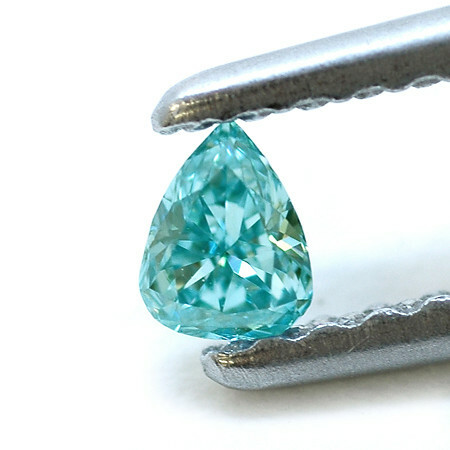 Each diamond must be certified and verified only in the interests of legitimate trade. The government of the country that self-interest to promote cooperation in the management of the common capability of the bank shifts can therefore take advantage of business development at industrial technology, reactors and equipment, chemicals, nanotechnology, patent rights, textiles and specialty textiles, electronics, digital stores and digital investment properties, construction, intelligent Technology and technology, weapons, transportation technology, space technology, some types of fuel, food, raw materials and consumer products, other forms of investment property and agreements. Many other. The Global statues One World will be built in countries where governments support the promotion of the project The One World, a project that is interested in the unification of all mankind, and therefore create a single nation across the entire planet Earth, unified territory without any borders. Therefore, any person or political party which promotes such progress, the most important values of our human future, for each significant person will be in a public square erected a statue which depicts the character of all these important people in positions of victory and pride that keeps our planet with an interest the unity of our humanity. Statue will be built of solid construction, studded with diamonds that are embedded with silver and gold. Therefore, in the interest of efforts to strengthen the stable value of diamonds on the market, my goal is to prove to conclude an agreement with the government of the country that promotes representing the project, The One World, unification of all mankind, will therefore be produced agreement on the handling of the value of the statue and release investment value of symbolic sculptures from diamonds, silver and gold, through the constant turnover of investment and the preservation of GDP. The government of the country of Imperium Diamond's why you can take 10% of the sculptures, 10% of which will be held at the central bank under the value of GDP The ED's. The government of the country of Diamond's Imperium at the same time will try to make the construction of statues of own raw material logistics. My goal is to establish cooperation with other governments of countries around the world, establishing banks for trade with Diamonds and Diamond Strategy to expand trade, to initiate the development of safety rules against the financial crisis when price volatility of diamonds and consequences of foreign exchange accounts based on diamonds. My goal, therefore, again be used for the establishment of a common regulatory system of valuing and more options to control the price of diamonds. In any case, I will be interested in expanding the markets for diamonds in the country of your government and strengthening cooperation. My interest is also expanding the markets for share papers that underpin these values Diamonds. Equity securities which may be a national type and between governments may be willing to share papers destined for international markets. In the case of and all it is interested in expanding my ability to keep markets registered with diamonds and foster the ability to re-register the diamonds in the interest of legal origin, together with the governments of countries around the world. Another concern is about expanding trade with the diamond mines and the establishment of other new diamond mines through our cooperation ownership. Therefore, for example, governments who owned diamond mines can strengthen the value to diamonds through new diamond mines and centers of national production, thus ensuring the creation of systems against monetary inflation abroad and strengthen their own country's GDP. Cooperation is determined for expanding world of investors and traders in diamonds opportunity to strategically improve the value of the diamonds on the world market. Therefore our cooperation will be based on the logistics of economic activity in inertia with diamonds as the investment property, investors who own and other personal financial network and are able to invest jointly in value of Diamonds maintain the value of diamonds and gain additional profits from the markets for diamonds. Therefore, our logistics re-centered on the extension of diamond trends, new styles cut extension, setting up international projects. Organizing joint creation of art products, art paintings, luxury textiles, sculptures, art luxury. The common objective of the conference will again be based on the strengthening of the value of research diamond in the interests of modern technology and science, and science in medicine, industry, energy and cosmology, in many ways, other scientific intelligence. My interest is found throughout the world's finest jewelers and raw stones Diamonds for the possibility of creating crown jewels. Open Space for Business Development of Every Company in the World ! !